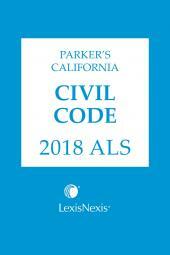 This edition of the Parker's California Civil Code Advance Legislative Service includes all of the legislation enacted during the 2015 Regular Session and First Extraordinary Session of the 2015-2016 California Legislature. 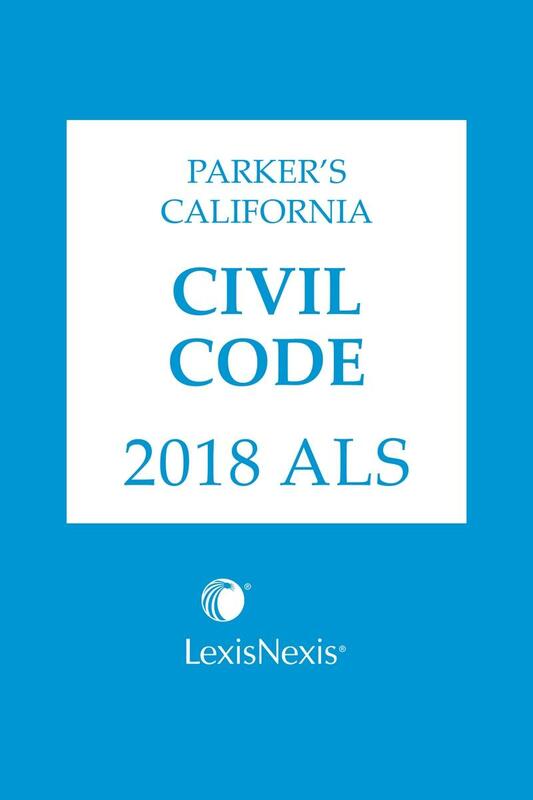 This edition of the Parker's California Civil Code Advance Legislative Service includes all of the legislation enacted during the 2015 Regular Session and First Extraordinary Session of the 2015-2016 California Legislature. 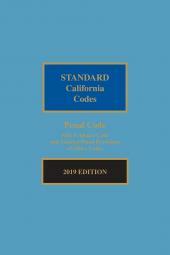 To increase the usefulness of this product, the text of the bills has been edited to remove sections that do not affect the Civil Code. 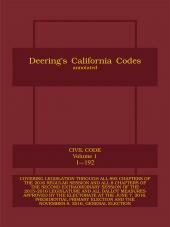 Also included in this eBook are a Table of Sections Affected and a Table of Assembly and Senate Bills Chaptered. 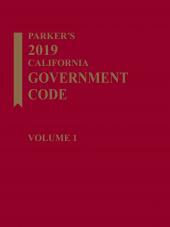 This edition of your Parker's Code will integrate these legislative changes into the Code using the legislative construction rules.